Offering you a complete choice of products which include welded wire mesh. We are an eminent organization engaged in manufacturing and wholesaling a broad assortment of Welded Wire Meshes. Offered meshes are demanded across various states such as Punjab, Himachal, Haryana, Rajasthan, Uttarakhand, Uttar Pradesh and Jammu & Kashmir due to their ability to withstand extreme weather conditions as cold, heat and rain. To ensure the same, we manufacture the offered meshes utilizing fine grade metal and other raw material, sourced from the most authentic vendors of the industry. 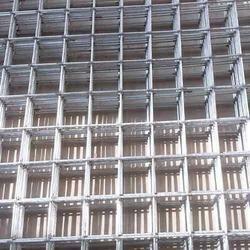 Looking for Welded Wire Mesh ?